Summer Heat Waves Can Slow Our Thinking : Shots - Health News Hot weather can influence cognitive performance, according to new research. Young adults living in non-air-conditioned dorms during a heat wave performed worse on math and attention tests. "There's evidence that our brains are susceptible to temperature abnormalities," says Joe Allen, co-director of the Center for Climate, Health and the Global Environment at Harvard University. And as the climate changes, temperatures spike and heat waves are more frequent. "In the morning, when they woke up, we pushed tests out to their cellphones," explains Allen. The students took two tests a day for 12 consecutive days. "We found that the students who were in the non-air-conditioned buildings actually had slower reaction times: 13 percent lower performance on basic arithmetic tests, and nearly a 10 percent reduction in the number of correct responses per minute," Allen explains. The results, published in PLOS Medicine, may come as a surprise. "I think it's a little bit akin to the frog in the boiling water," Allen says. There's a "slow, steady — largely imperceptible — rise in temperature, and you don't realize it's having an impact on you." For instance, a 2006 study from researchers at Lawrence Berkeley National Lab found that when office temperatures rise above the mid-70s, workers' performance begins to drop off. Researchers reviewed multiple studies that evaluated performance on common office tasks. The study found that worker productivity is highest at about 72 degrees. When temperatures exceeded the mid-80s, worker productivity decreased by about 9 percent. The author, R. Jisung Park, assistant professor at the University of California, Los Angeles, writes that compared with a 72-degree day, "taking an exam on a 90◦F day leads to a 10.9 percent lower likelihood of passing a particular subject (e.g. Algebra), which in turn affects probability of graduation." 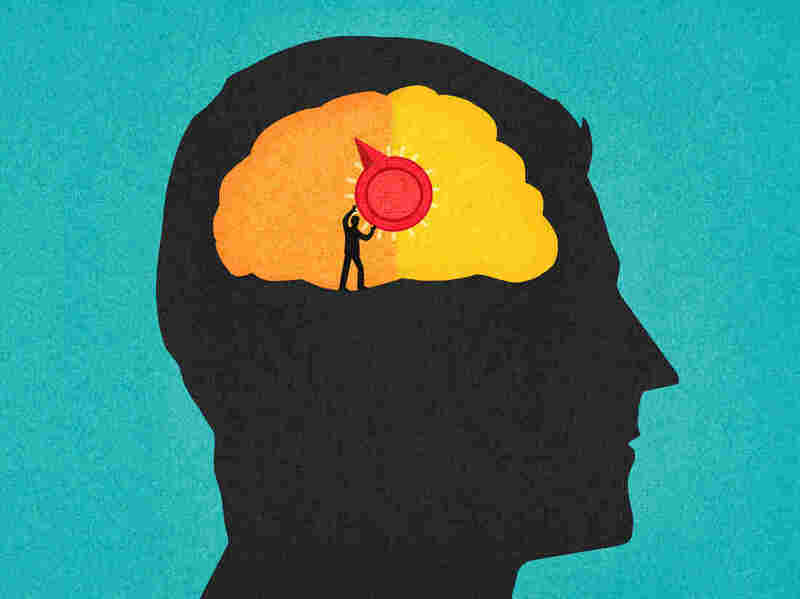 There's still a lot to learn about how our brains and bodies respond to heat. "We all tend to think we can compensate, we can do just fine" during heat waves says Allen. But he says the "evidence shows that the indoor temperature can have a dramatic impact on our ability to be productive and learn."